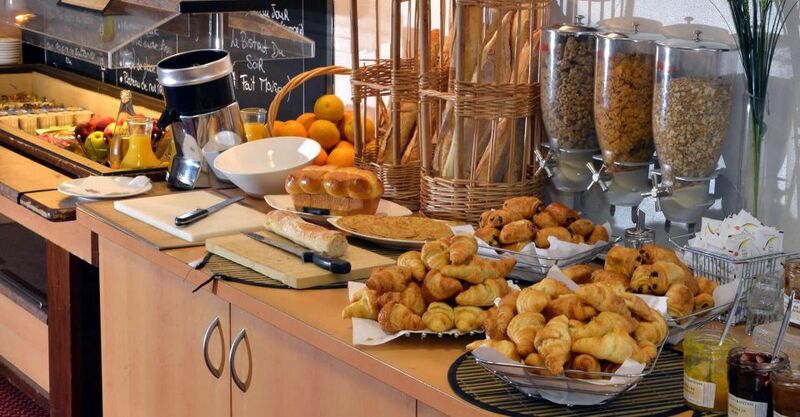 Our breakfast buffet is varied, seasonal and local. Multiple cereals, fruits, fresh fruit salads, pressed oranges you will love, local yoghurts, cottage cheese and various fruit juices. Not to mention the salty classics: white ham, rosette, grilled bacon, eggs (to be cooked according to your preference with the egg cooker at your disposal), emmental cheese, tomme. But also, bread from our next door baker, pastries, brioche, rusks, mini-crêpes, compotes, dried fruits, spreadable dough. Breakfast is served every day of the week from 6:30 am to 9:30 am. On weekends and public holidays, the service lasts until 10:00 am. Also new on our buffet: the gluten-free corner! Les Vergers de la manse, 59 rue de la république, 37800 SEPMES : jams, apple juice.